July 5, 2016. 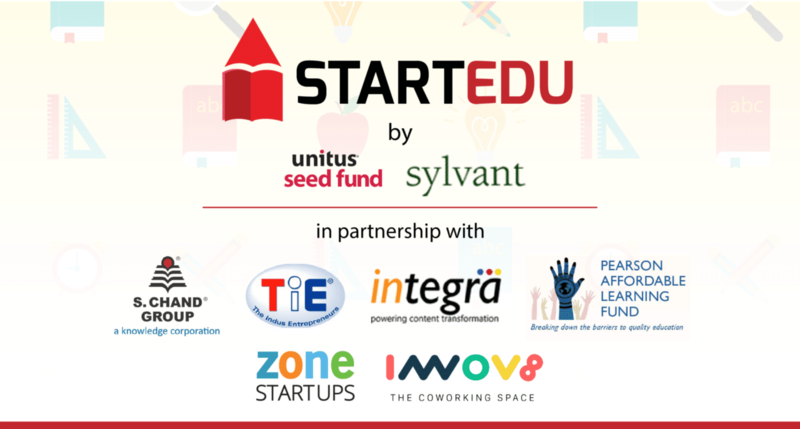 Bengaluru – Unitus Ventures (formerly Unitus Seed Fund), a leading impact venture fund investing in startups innovating for the masses in India and Sylvant Advisors, one of India’s leading education advisory & angel investment group, today announced the winners of the fourth edition of StartEdu – a nationwide programme that seeks to identify and invest in the best early-stage education and edtech startups. The three winners are TotSmart Education, Plastic Water VR and Dost Education. The winners will now have the opportunity to pitch to Unitus for investments of up to INR 3 crores. The fourth edition of StartEdu witnessed over 240 startups applying and over 140 of them participating in intensive workshops held across 5 cities: New Delhi, Bengaluru, Chennai, Hyderabad and Mumbai. The workshops were hosted by Unitus Ventures (formerly Unitus Seed Fund) and Sylvant Advisors in partnership with TiE chapters, Zone Startups, Innov8 and industry experts from S Chand Publishers, Pearson Affordable Learning Fund and Integra. Of the companies that applied, 10 startups were shortlisted who further received one-on-one mentorship from education sector experts and then pitched their businesses to a panel of judges in the final round. Judges for StartEdu 4 included Gaurav Jhunjhunwala – Director at S Chand, Vinay Sharma – Business Head, Digital and Services at S Chand, Arvind Nagarajan – Director at Pearson Affordable Learning Fund, Kartik Desai – Principle at Asha Impact, Sriram Subramanya – Founder and CEO at Integra Software Services, Srikanth Iyer – Venture Partner at Unitus Ventures (formerly Unitus Seed Fund), Anand Sudarshan, Founder Director, Sylvant Advisors and Will Poole – Co-founder and Managing Partner at Unitus Ventures (formerly Unitus Seed Fund). 1. TotSmart Education – Started in 2013, Delhi-based TotSmart Education is working towards making education personalised for every student, irrespective of their socio-economic status. It’s ‘blended learning’ approach includes physical textbooks which are developed in-house and Pedron – a mobile app for game-based learning. The company’s value-added, result-oriented services have been adopted by over 400 schools and 50, 000 students across the country already. TotSmart aims to reach a million Pedron users by December 2017. 2. Plastic Water VR – Bengaluru-based Plastic Water VR is tackling poor comprehension levels in students by introducing Virtual Reality (VR) as a solution. By creating immersive and interactive environments that promote multi-dimensional thinking, Plastic Water VR is attempting to improve math and science learning outcomes for children studying in grades 6-8. The content is delivered over android-based smartphones and the virtual reality based learning experience is provided through Google cardboards at a nominal subscription starting at INR 350. 3. Dost Education – Started by three UC Berkeley students, Dost Education is working towards empowering illiterate mothers to become better informed and active participants in their children’s development. It’s mobile-based platform delivers evidence-based curriculum infused with local knowledge as voice calls to mothers; empowering and enriching them to provide effective early learning experiences for their children. 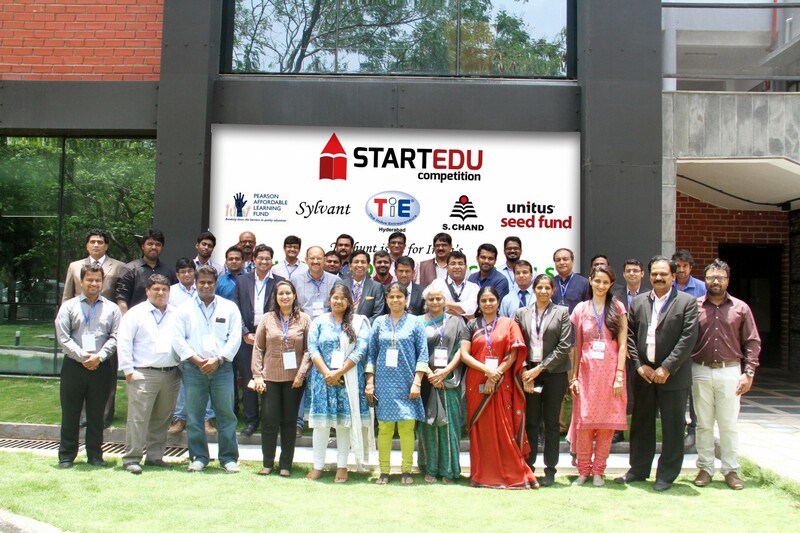 “A comprehensive and well-rounded initiative, StartEdu’s exhaustive bootcamps for all participants and one-on-one mentorship sessions for the finalists ensured that all applicants were able to learn from leading industry experts and make invaluable connections”, said Anand Sudarshan, Founder & Director, Sylvant Advisors. “India presents a massive opportunity for entrepreneurs trying to make education affordable and accessible with improved learning outcomes. But building sustainable startups is not easy. We’re mentoring and providing early stage capital to startups that have the potential to profitably improve the education sector and create a lasting impact for millions”, said Will Poole, Co-founder and Manging Partner at Unitus Ventures (formerly Unitus Seed Fund). 1. XPrep – XPrep is creating a tutor-parent network by enveloping tutors under its umbrella banner and enabling these tutors with technology to cater their students. 2. Walnut Knowledge Solutions – Started by quizzers, Walnut Knowledge is aiming to create a habit-forming companion platform that piques the curiosity of the child, through quiz-based learning. 3. Urros Ed – Urros Ed focuses on language development and language proficiency for children up to grade 5. 4. Katalyst Eduserve – Katalyst Eduserve offers Competency Based Assessment complimenting the Credit Based Education, for better academic outcomes. 5. Gyan Labs – Gyan Labs offers adaptive, mobile-friendly learning platform in English and vernacular languages for K-10 students that gamifies and personalizes learning-based outcomes. 6. Entri – Entri is a plug and play test preparation platform on the cloud for schools, teachers and coaching institutes. 7. Edudharma – Edudharma is creating an online crowd funding platform for NGOs, corporates and individuals to fund higher education for the underprivileged. 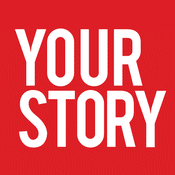 Started in 2014, StartEdu has so far received applications from nearly 500 education startups. The 2015 winner, LabInApp – a Hubli-based startup that is revolutionizing science learning through 3D virtual laboratories also received seed funding from Unitus Ventures (formerly Unitus Seed Fund) and Sylvant Advisors. Unitus Ventures (formerly Unitus Seed Fund) is the leading impact venture fund investing in startups innovating for the masses in India. Unitus invests in sectors including healthcare, education, mobile & consumer, retail & ecommerce, financial services, and agriculture. Founded in 2012, Unitus Ventures (formerly Unitus Seed Fund) is managed by Capria Ventures which is part of the Unitus Group, a premier financial services group operating in India and other emerging markets since 2000. Unitus Ventures (formerly Unitus Seed Fund) is based in Bangalore and Seattle, and is a member of the Capria Network. Sylvant provides a robust scaffolding for the future of education to be crafted globally, by leveraging the power of experts, depth of insights and network of entrepreneurs. Sylvant works with education entrepreneurs to accelerate their growth – beginning with drafting business strategies, early-stage seed investments, aiding in larger fund-raising effort, providing operational support and being a part of an entire growth journey. Sylvant is co-founded by Anand Sudarshan (former Vice-Chairman & MD of Manipal Global Education) along with other education leaders. Sylvant currently has a portfolio of 18 education technology startups including GuruG, Lodestar, LabInApp, Entlogics, Instafeez.